Climb trees, swim in the sea, solve riddles, shoot a bow and arrow, make smores around a campfire, watch bats, lookout for owls and that's just the first day! Live in a newly refurbished Georgian Mansion House, built by smugglers. Explore for hidden secrets, while making new friends during the School Holidays. 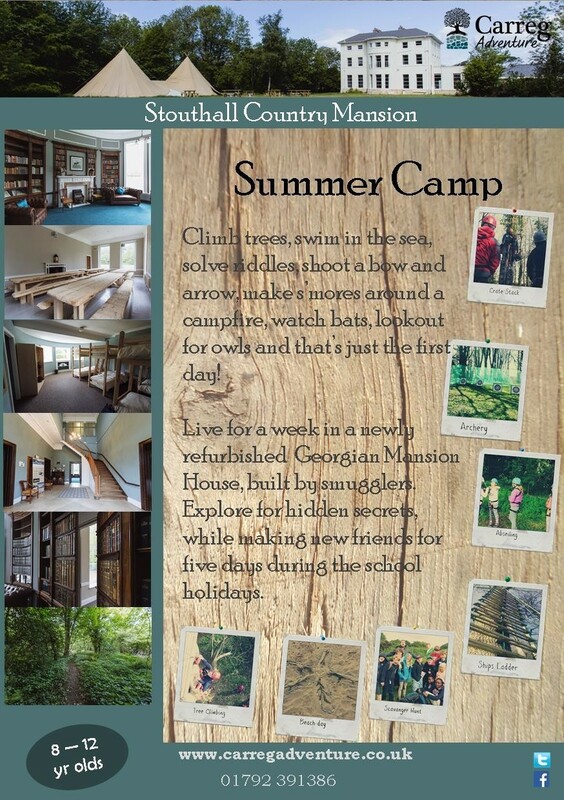 Throughout the school holidays we operate a day camp for 5 - 15 year olds and sleep-away camp for 8 to 15 year olds. A fully supervised programme of activities runs from Monday at 9am until Friday at 5pm. Campers are roomed in dorms together and grouped for activities with others of similar ages. Campers are supervised 24 hours a day. Our beautiful, private venue and exciting activities make for a once in a lifetime experience. Make new friends, create memories that will last a lifetime and learn new skills while trying a whole range of new activities. Why send your child to camp? There are many reasons why parents choose to send their children to us. Sometimes its a childcare solution over the long summer holidays, sometimes they are looking to support their child with confidence issues or independence, but the most common reason is to get their children away from the screen and back in the outdoors. Whatever your reason, we have it covered. The safety of our children is our upmost priority. As such we have rigorous systems in place to ensure the round-the-clock supervision of the children in our care. Additionally, our private site is closed to the public and our staff are all referenced and DBS checked. To ensure the safety of our sessions we conform to the guidelines of the British Activity Providers Association and are inspected annually. We have all of our staff externally assessed for our climbing activities and our climbing equipment is also externally inspected regularly.